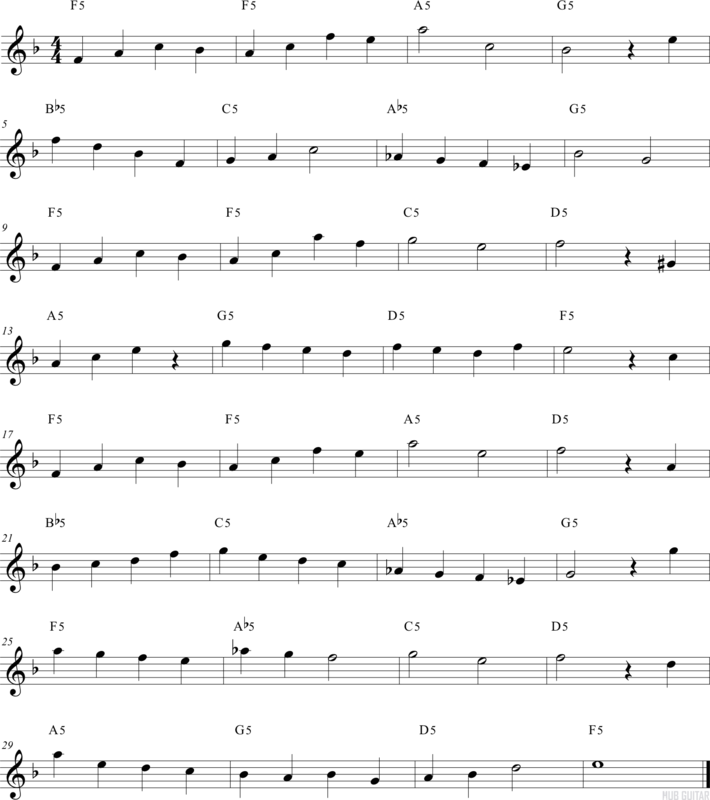 This melody consists mostly of quarter notes, so practice at a slow speed before speeding it up. Considering the highest note in the melody, A on the first ledger lineLines used to extend the range of standard music notation above or below the five-line staff normally used. above the staff, Position I is probably not the best place to read this melody, due to the need to switch to the Vth fret of the 1st string to play the note. Position V would be better. However, it will also work in Position I, with a (somewhat awkward) stretch to reach the note.